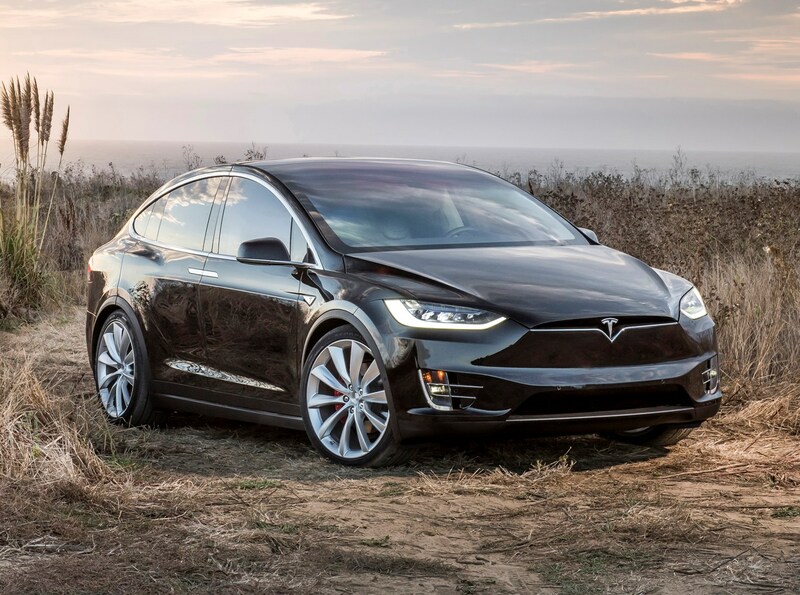 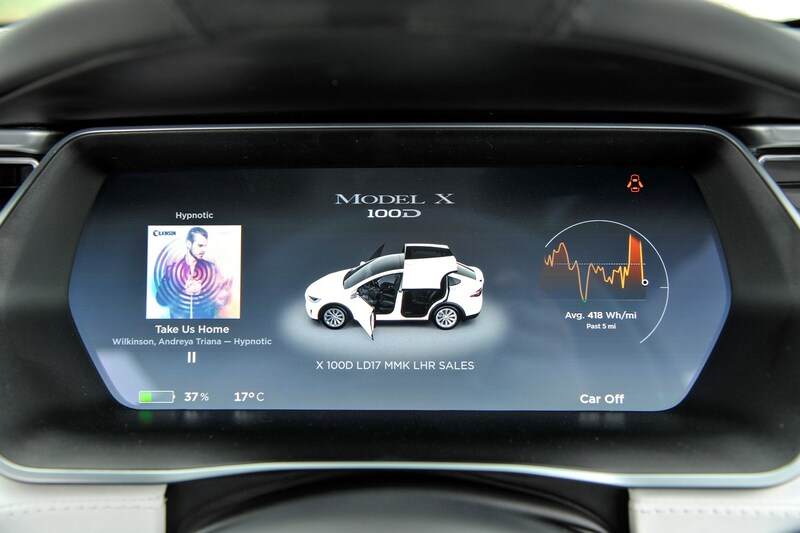 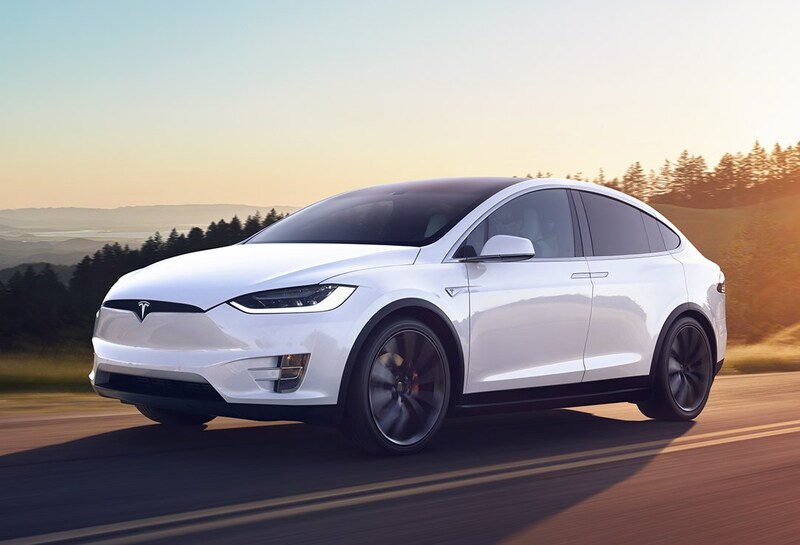 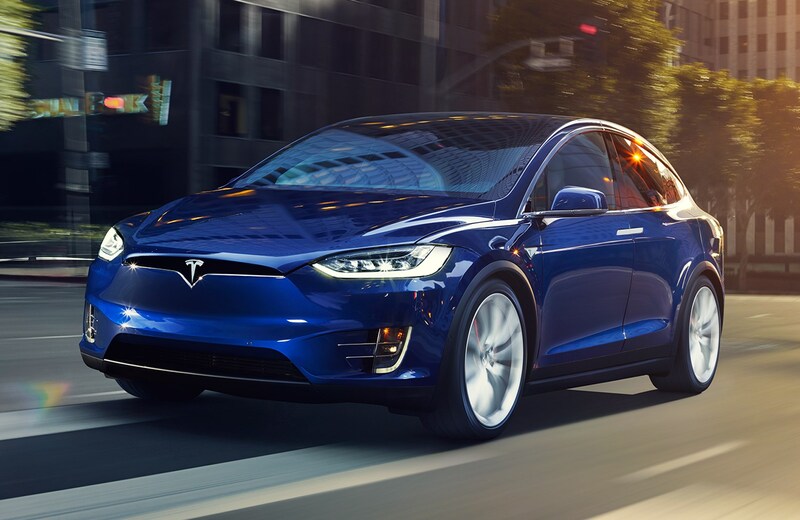 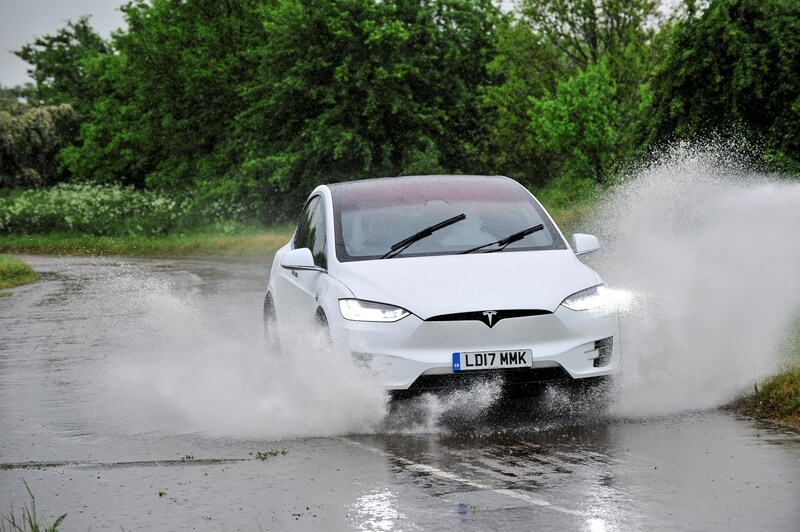 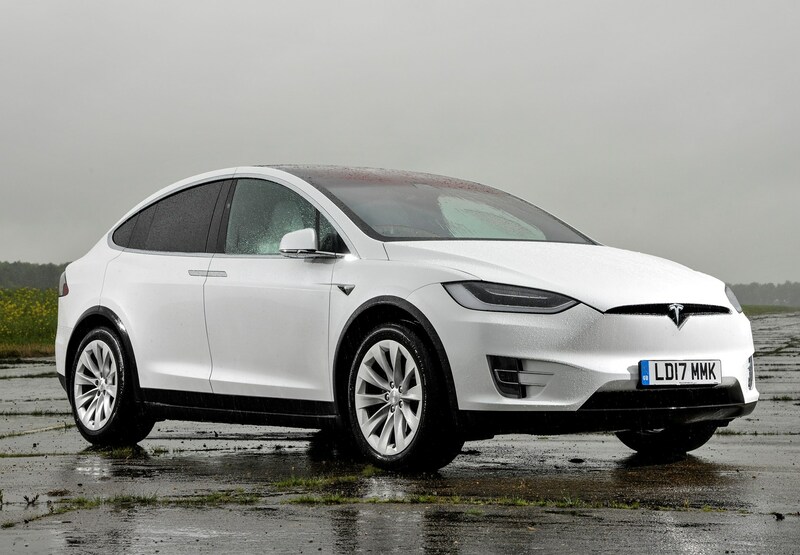 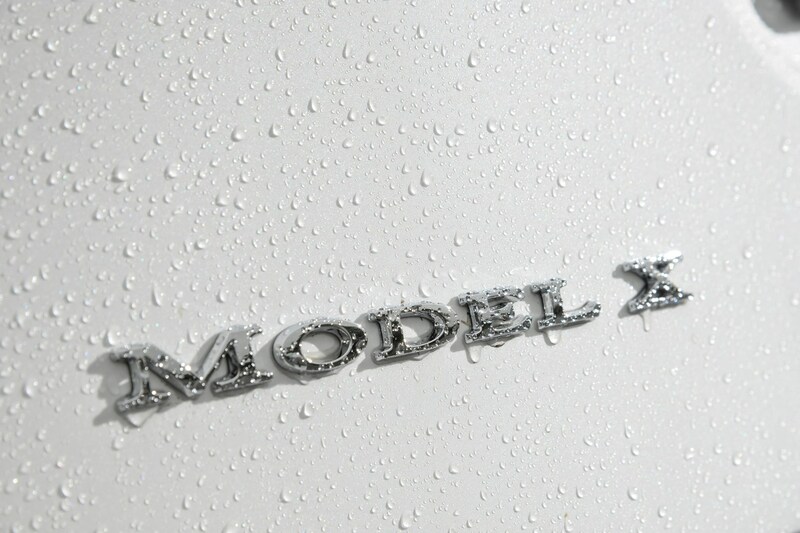 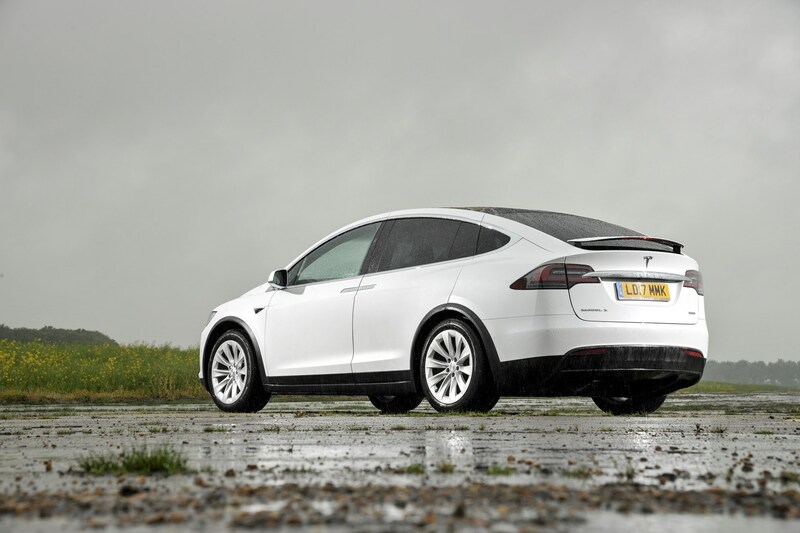 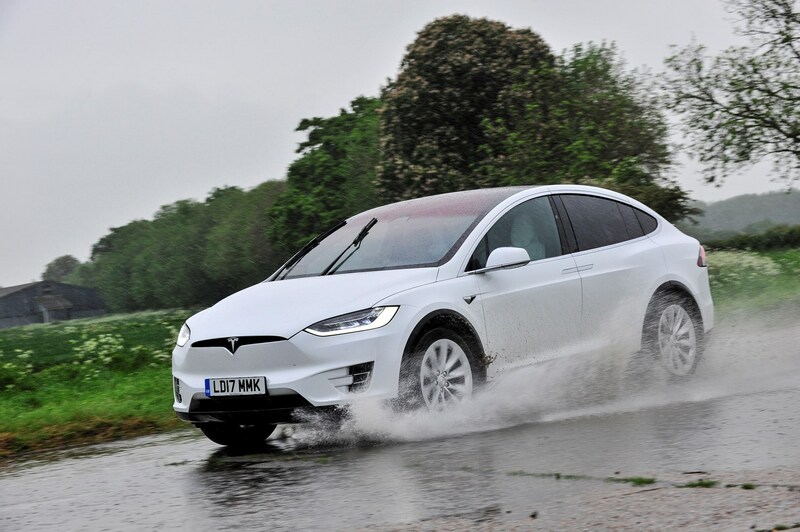 As standard, all Model X models are specified with largely similar equipment, despite the base price spanning £50,000 – the price premium instead buys extra performance and driving range. 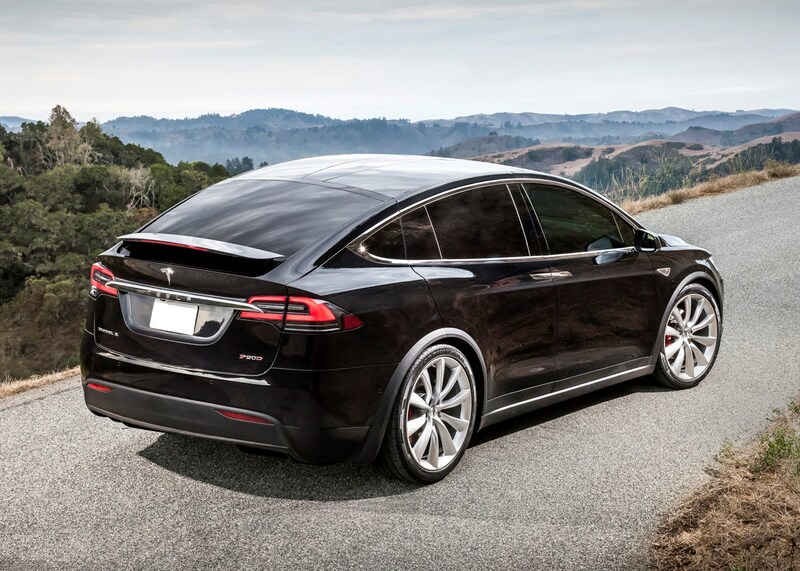 Black paint is the only no-cost exterior colour, with six other colours costing extra. 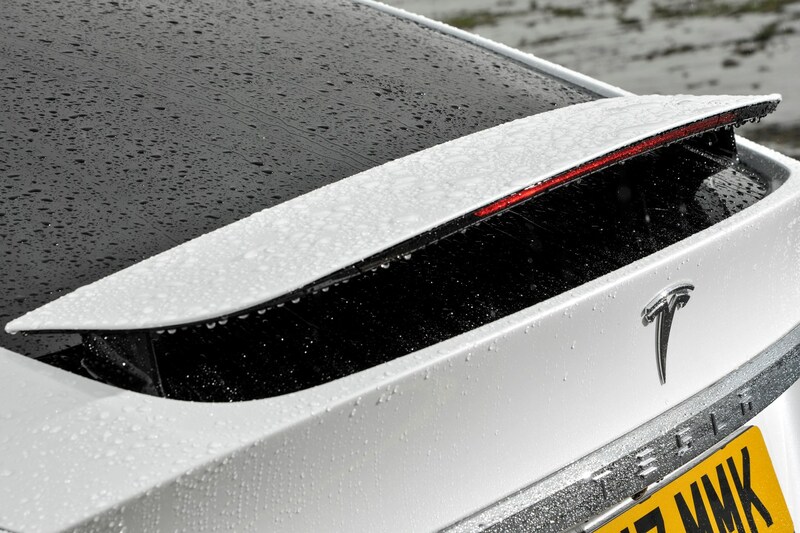 The 20-inch Silver Slipstream alloys are standard, with the 20-inch Helix and 22-inch Turbine wheels as optional extras. 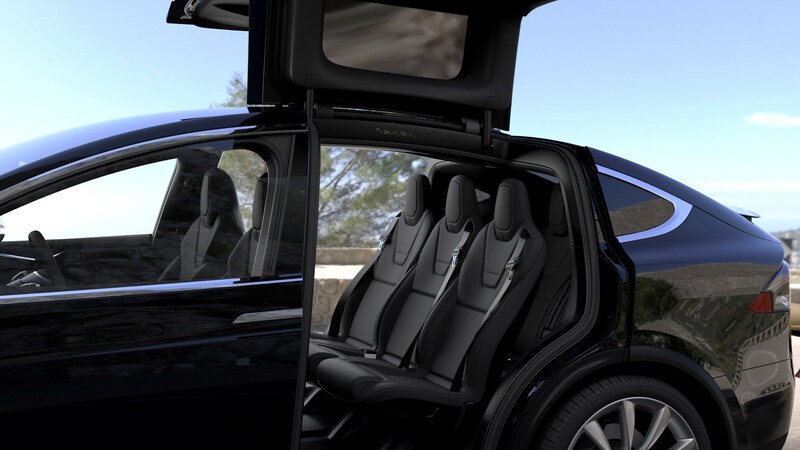 Five interior trim combinations are available, but only multi-pattern black seats with dark ash wood trim and black headlining is standard. 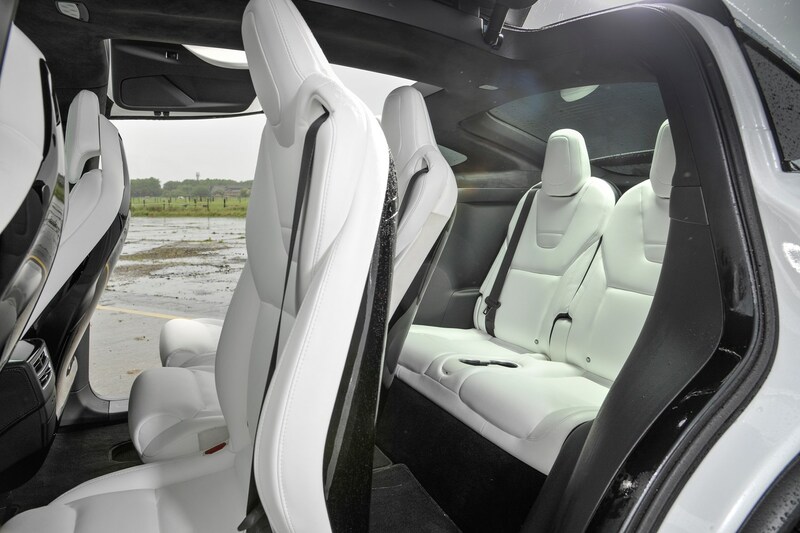 Key options include the six- and seven-seat interior, advanced driver-assistance packages and a Premium Upgrades Package. 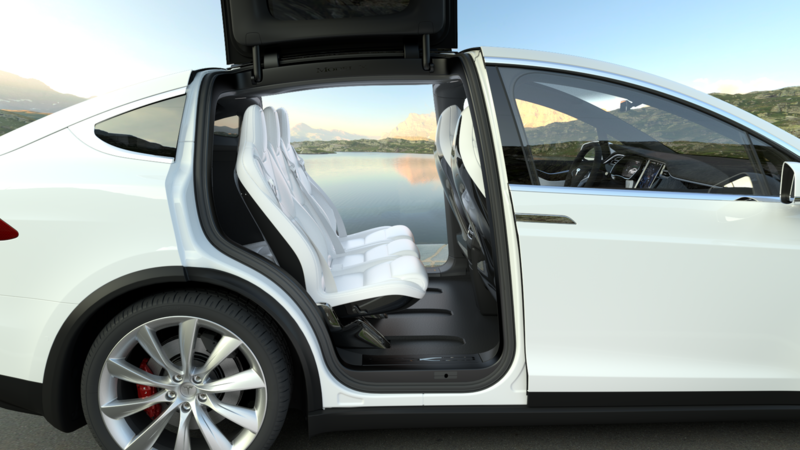 The latter includes front doors that automatically swing open as you approach, a cabin air-filtration system said to be 100 times more effective than premium automotive filters, additional leather and Alcantara trim to the dashboard, steering wheel and dual armrests, plus dynamic LED headlights that turn in line with the driver’s steering inputs to illuminate corners. 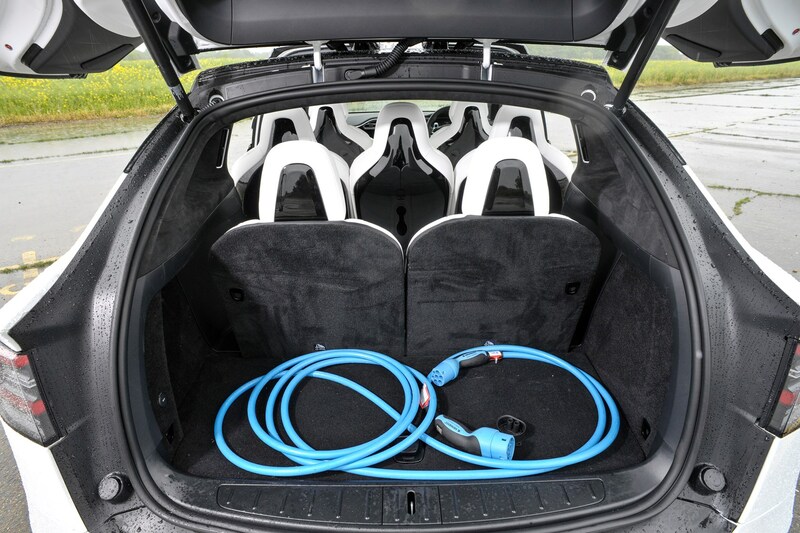 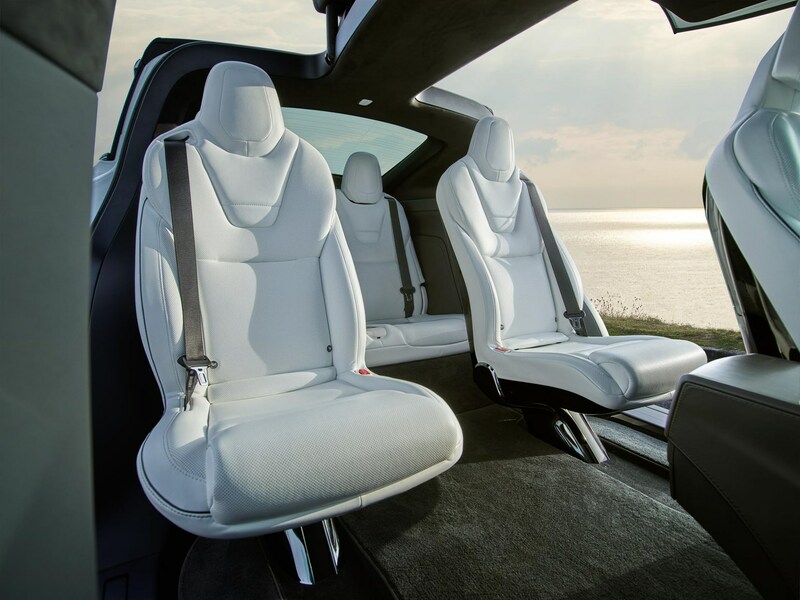 Tesla offers up to four Isofix attachments for child seats, though Audi provides six in its seven-seat Q7. 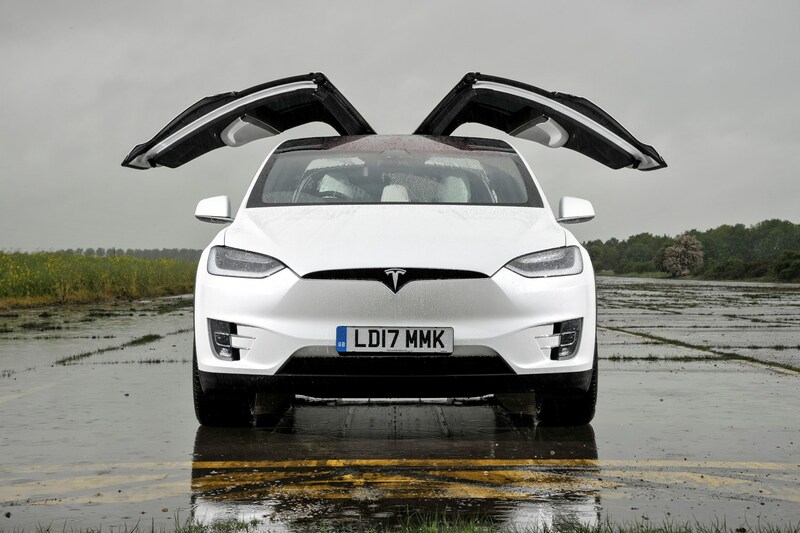 The Model X is yet to be tested by Euro NCAP, but Tesla claims its own crash-testing procedures suggest it should be the first SUV to receive the highest safety rating in every category. 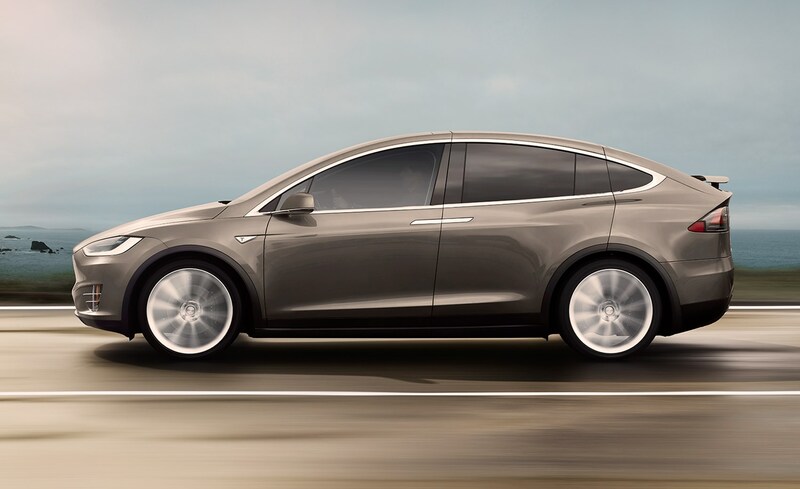 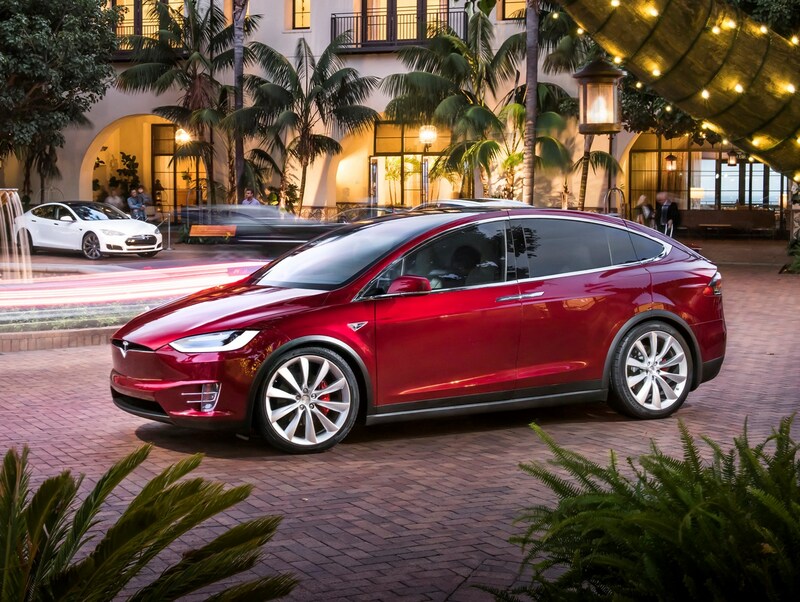 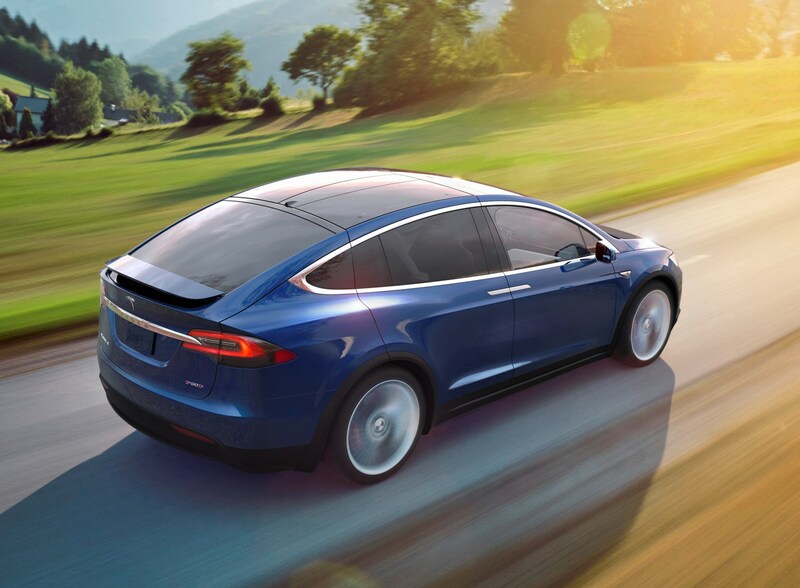 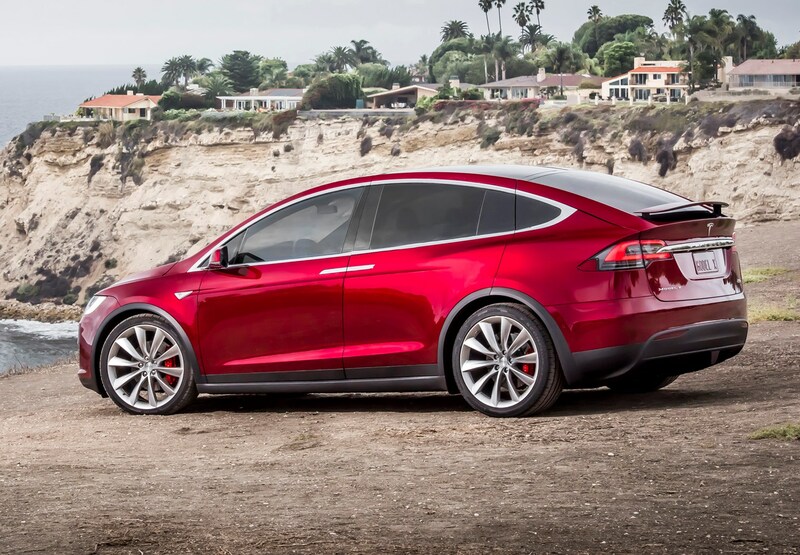 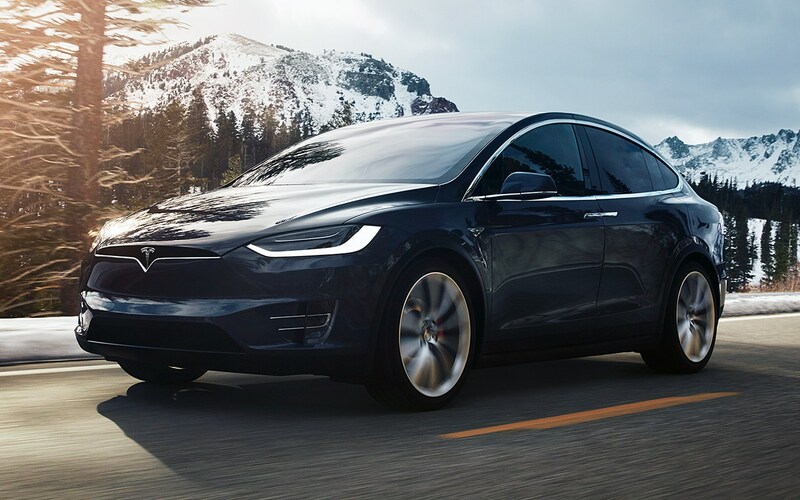 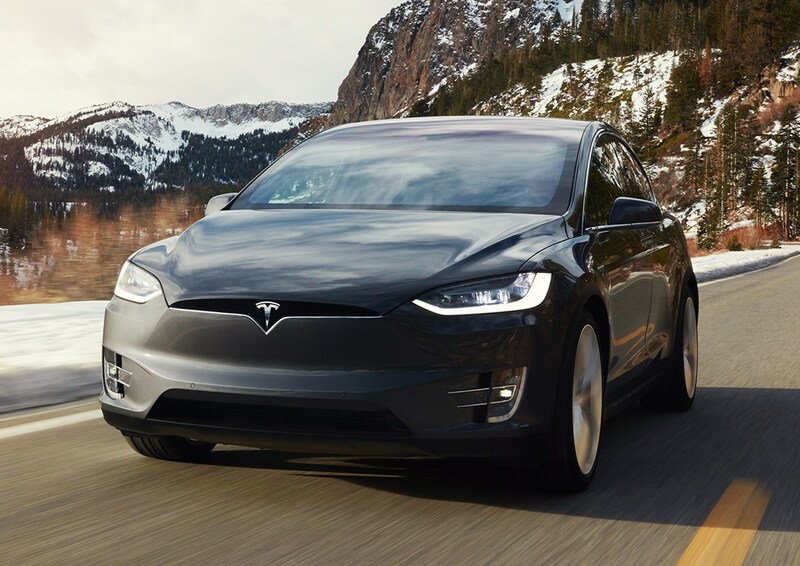 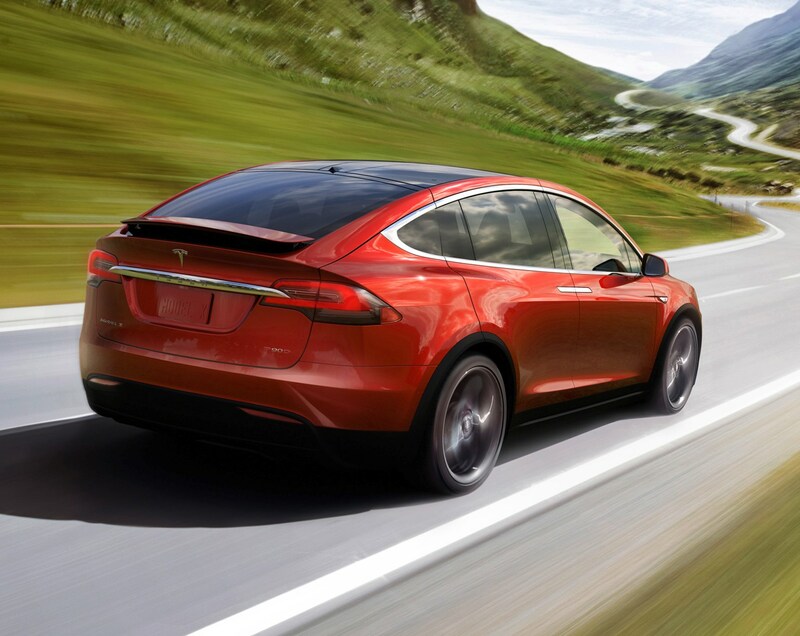 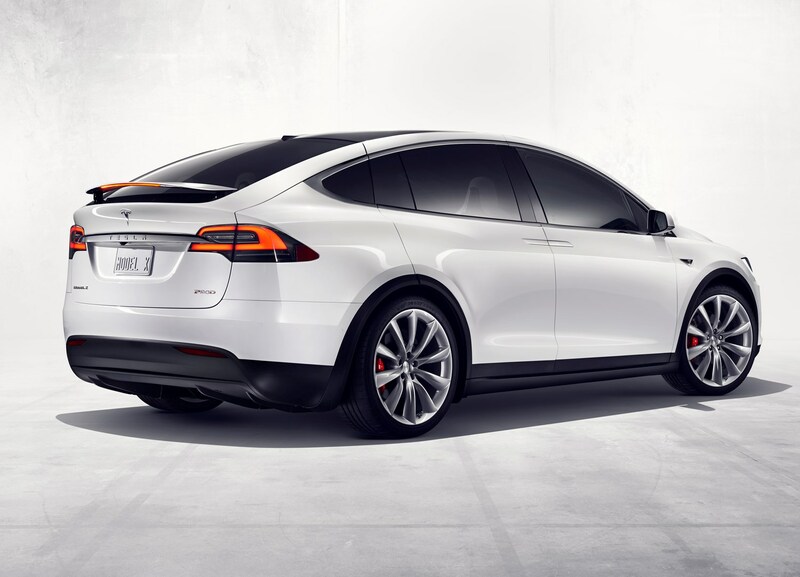 All-wheel drive and a battery pack positioned low down between the axles (placing weight low down increases agility and reduces the likelihood of a rollover) means the Model X is an inherently well-balanced and stable SUV. 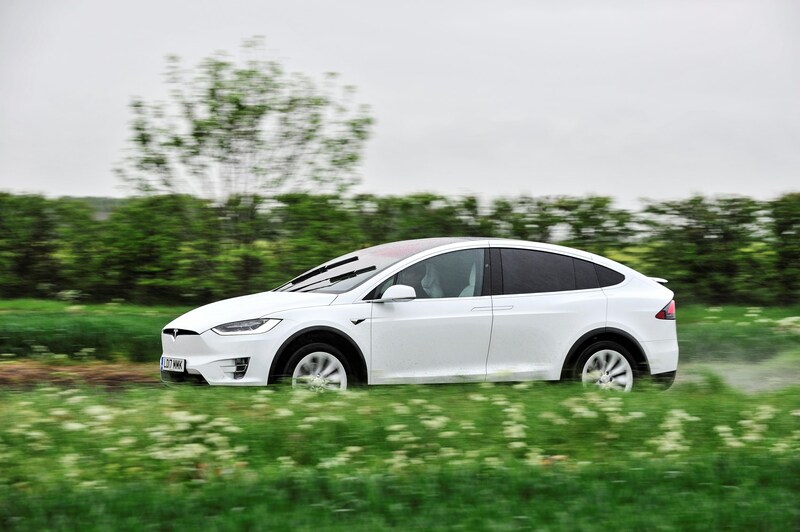 The standard fitment – as is mandatory for every car sold in the EU – of ABS brakes and stability control also means the driver is unlikely to skid out of control. 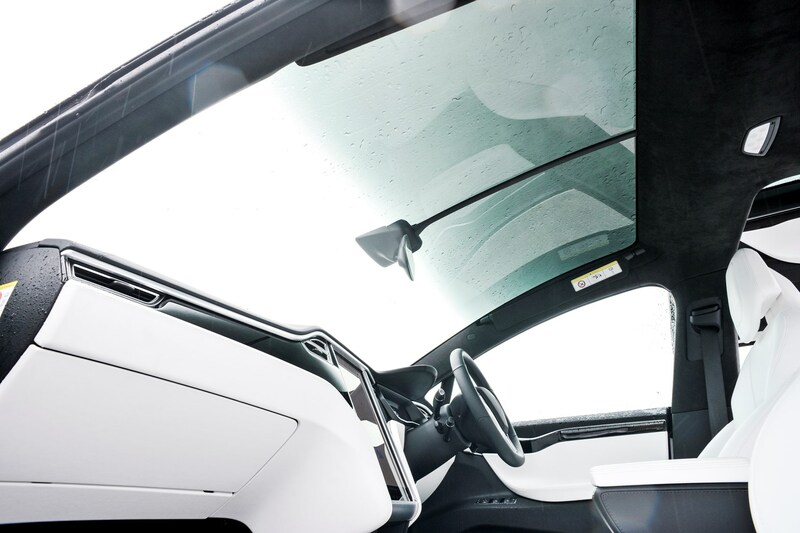 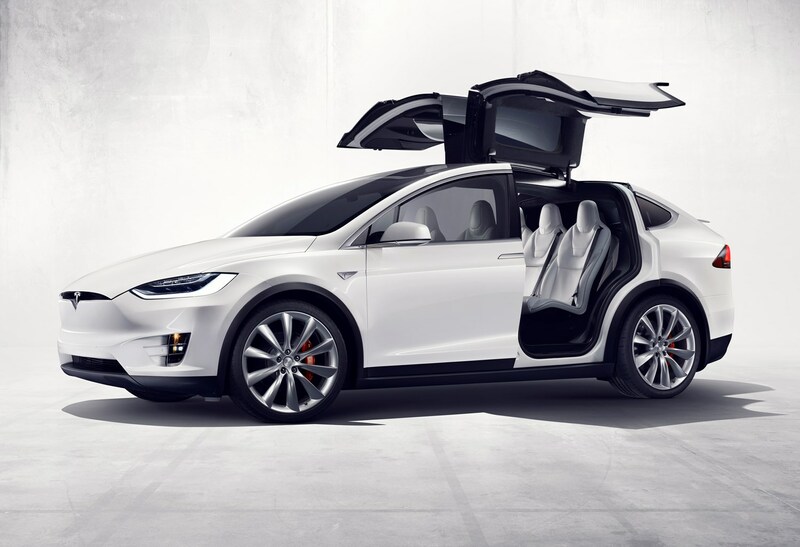 The Model X is fitted with 12 airbags as standard, with head and knee airbags in the front, two side curtain airbags, four seat-mounted side airbags and two door-mounted airbags. 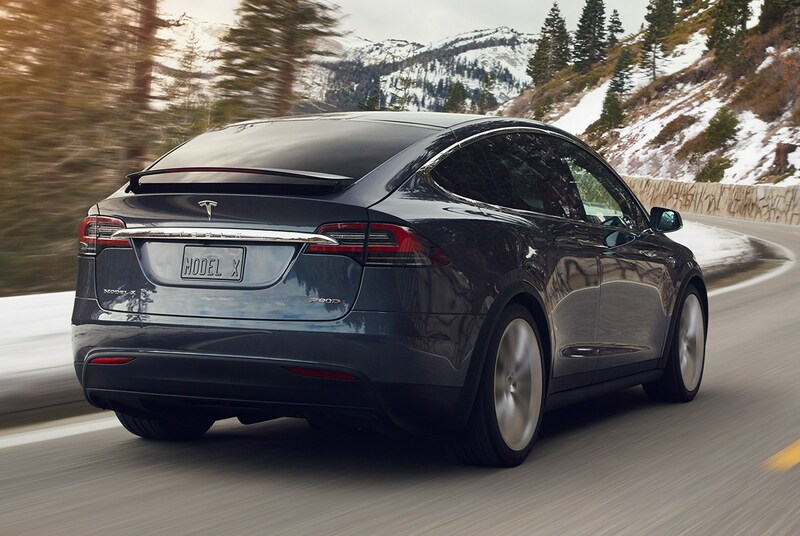 Active safety features include automatic emergency braking and side-collision avoidance, both of which intervene to stop the vehicle if an accident is deemed likely. 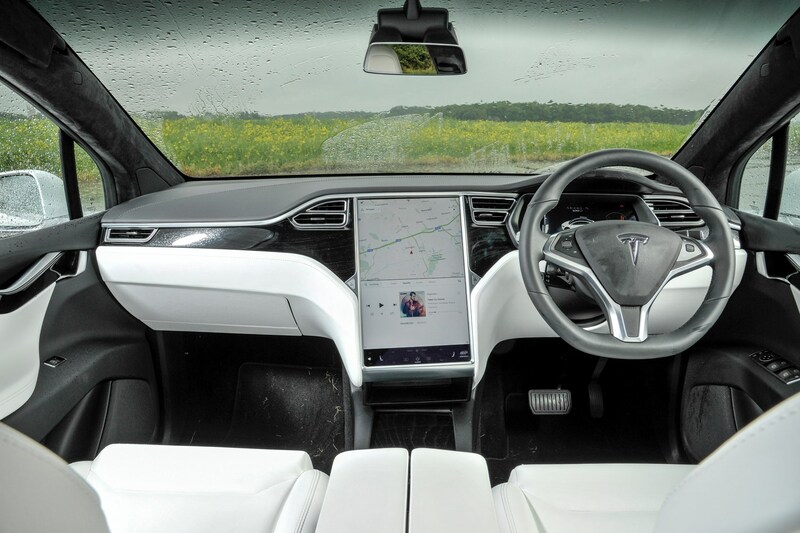 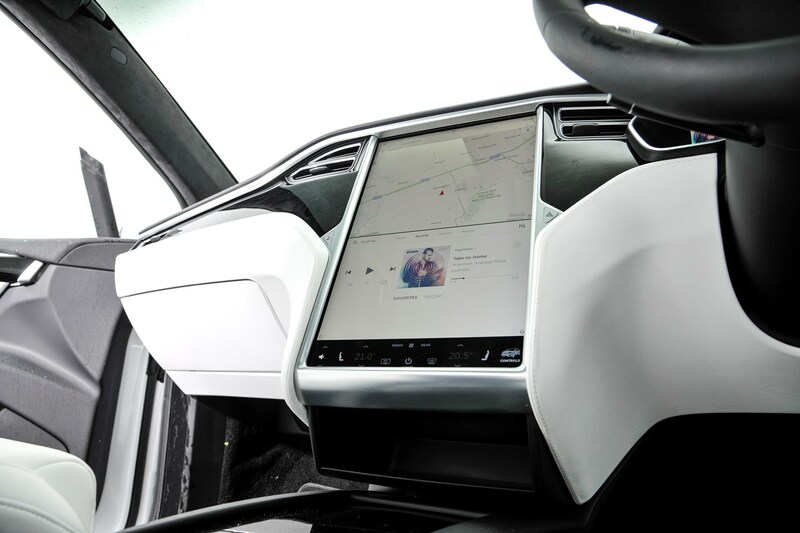 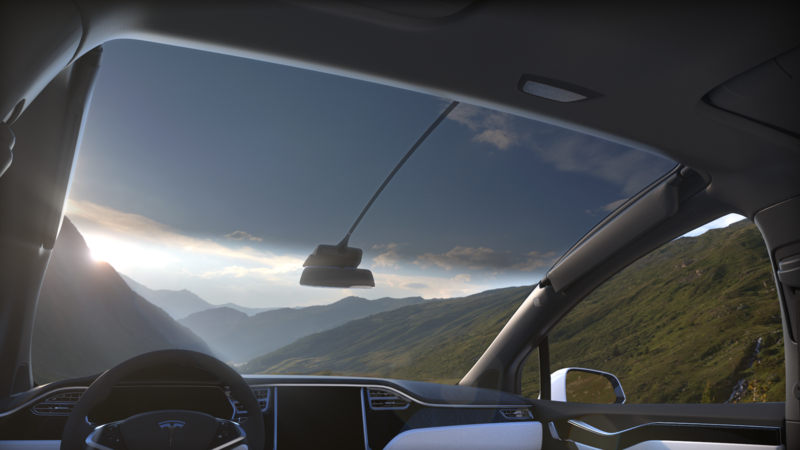 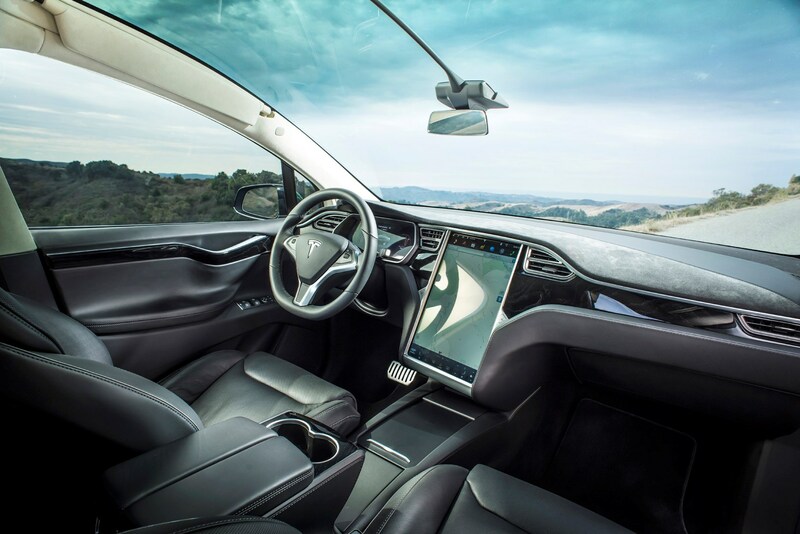 Tesla is well known for its cutting-edge – and sometimes controversial – driver-assistance systems, some of which go a long way to full autonomy. 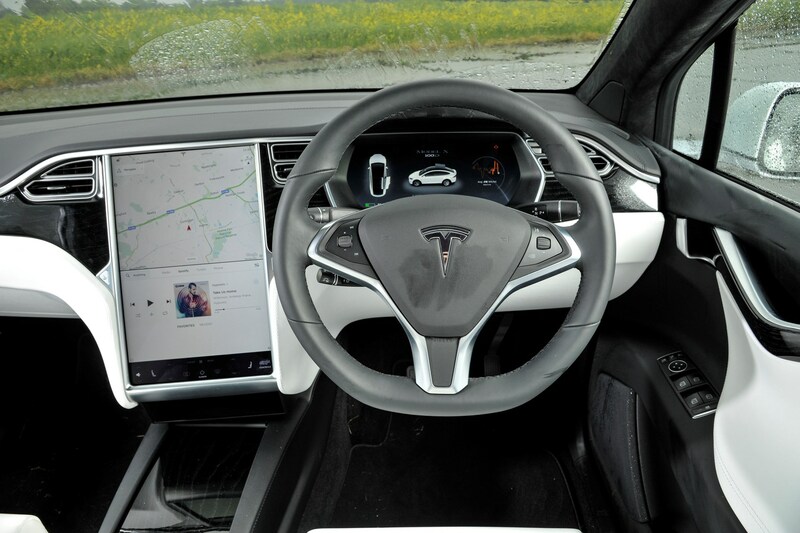 The Enhanced Autopilot function, for instance, includes four cameras and 12 ultrasonic sonar sensors to monitor traffic and obstacles 360 degrees around the car. 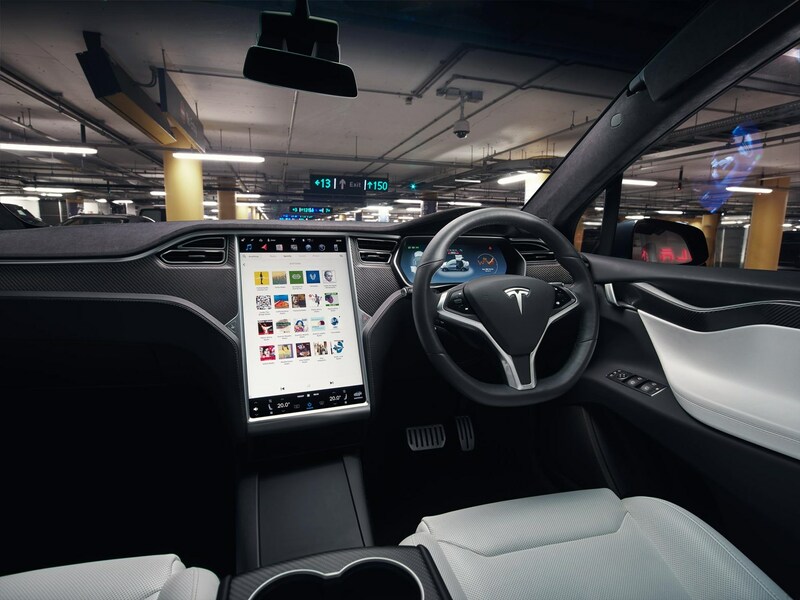 Enhanced Autopilot automatically matches speed to the traffic flow, ensures the vehicle doesn’t veer from its lane, automatically changes lanes, and even self parks and can be summoned from your garage. 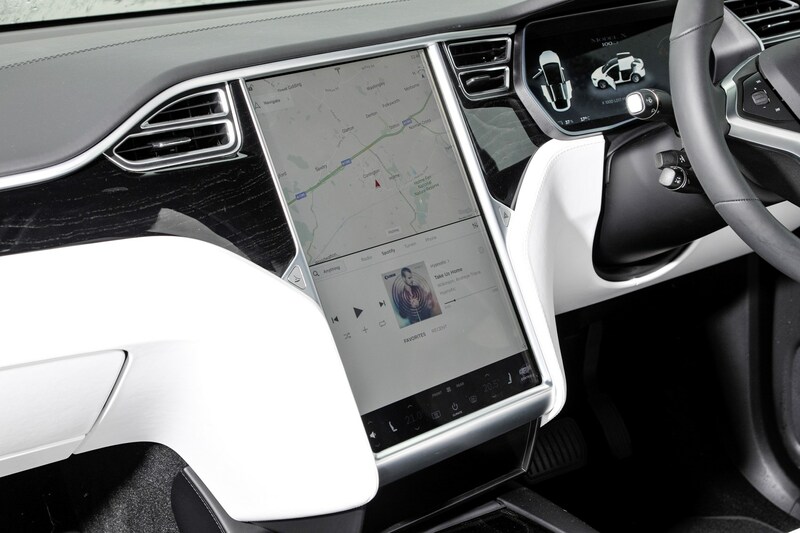 It’s worth noting that fully autonomous self-driving cars are not legal in the UK, requiring the driver to remain in control and use these for assistance only. 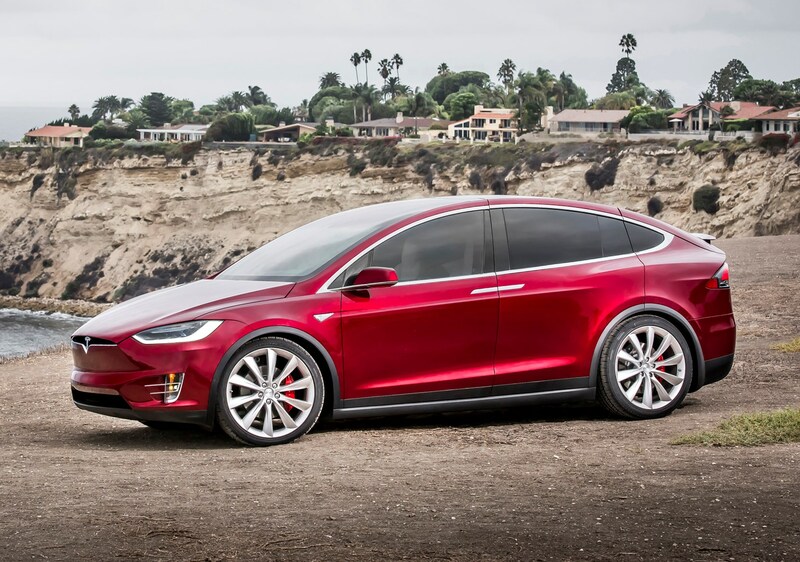 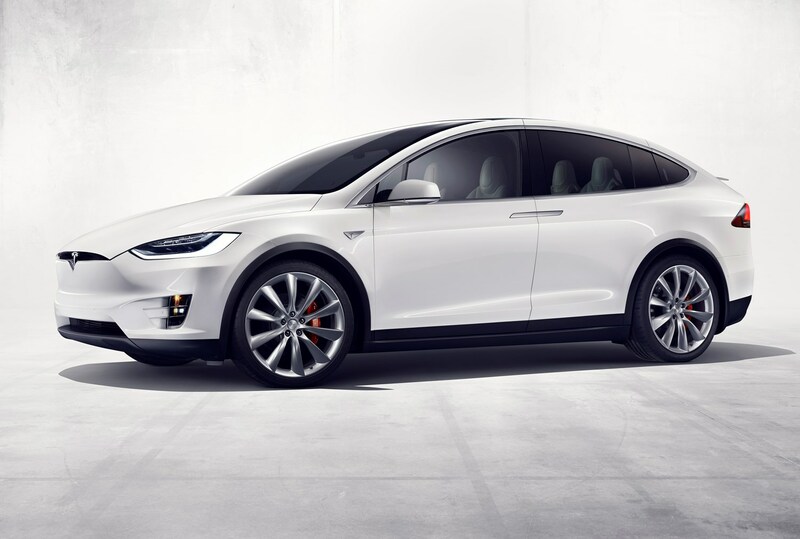 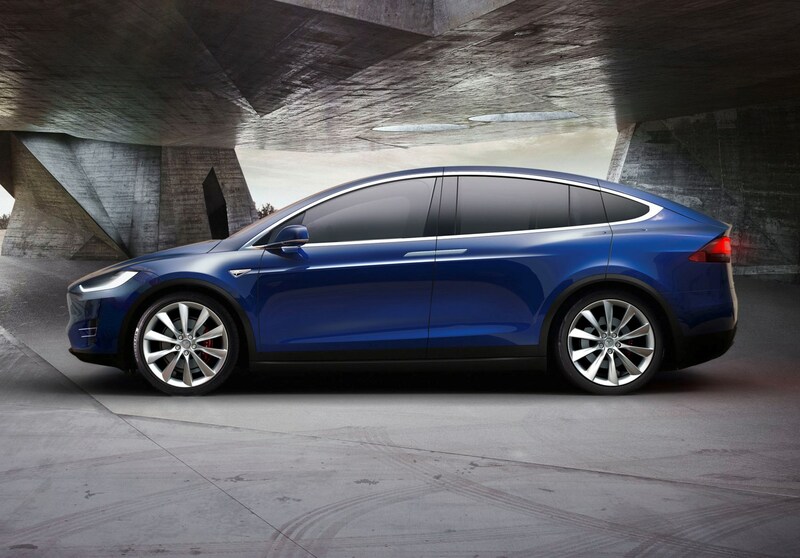 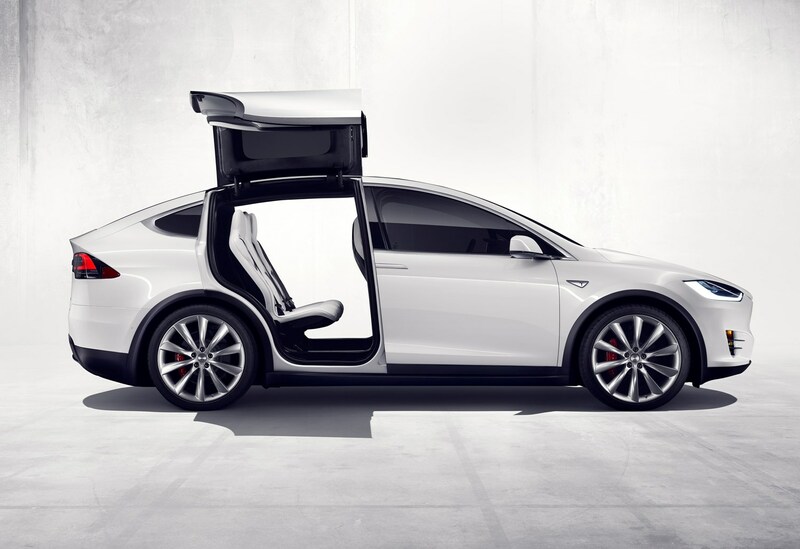 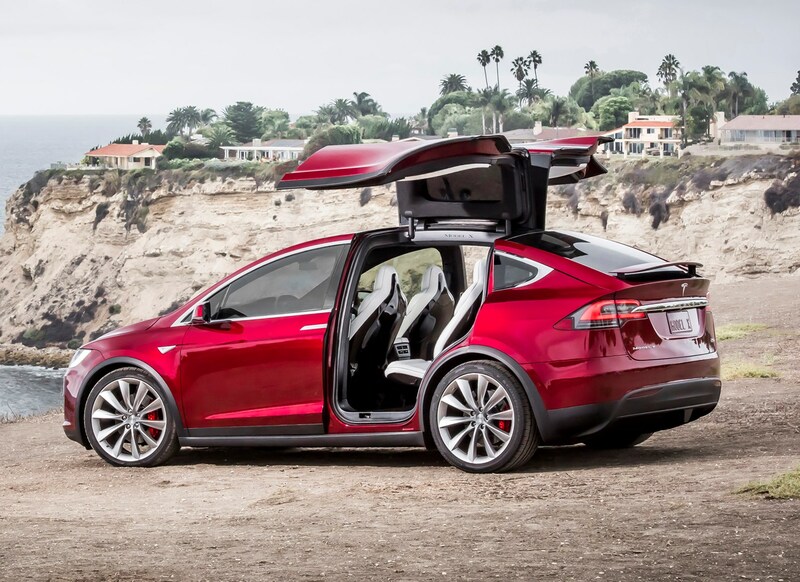 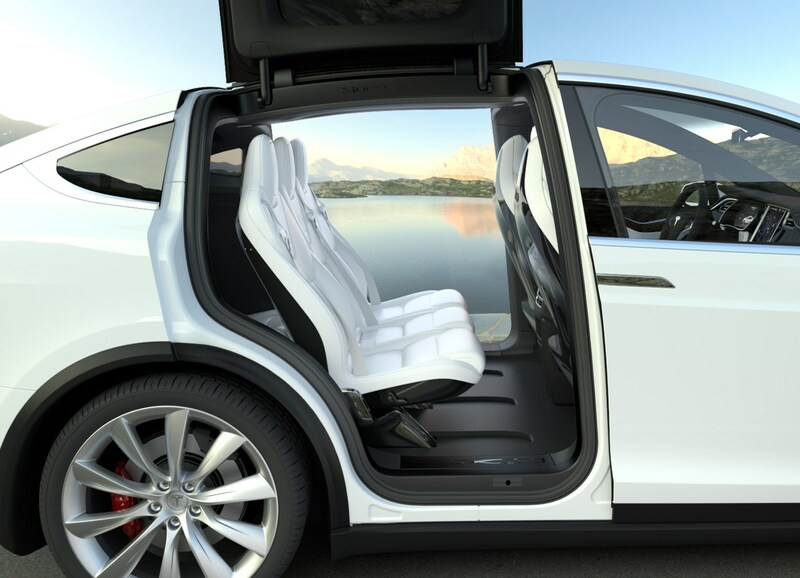 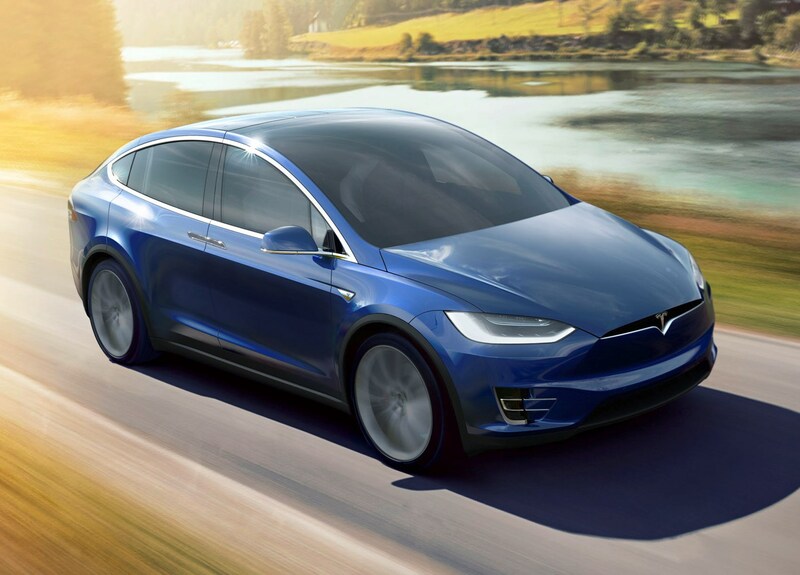 Unusually for a high-end SUV, the Model X can be specified in five-, six-, or seven-seat configurations depending on the buyer’s preference. 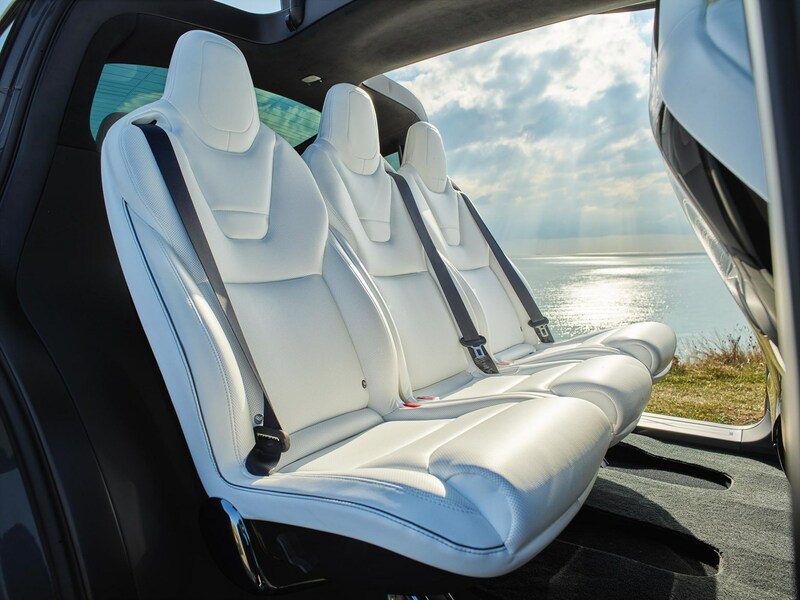 Spec the Model X to its maximum seating capacity and both the driver, passenger and second row occupants are allowed plenty of space to stretch out and relax. The third-row seats can accommodate adults but children will find them comfier on longer journeys. 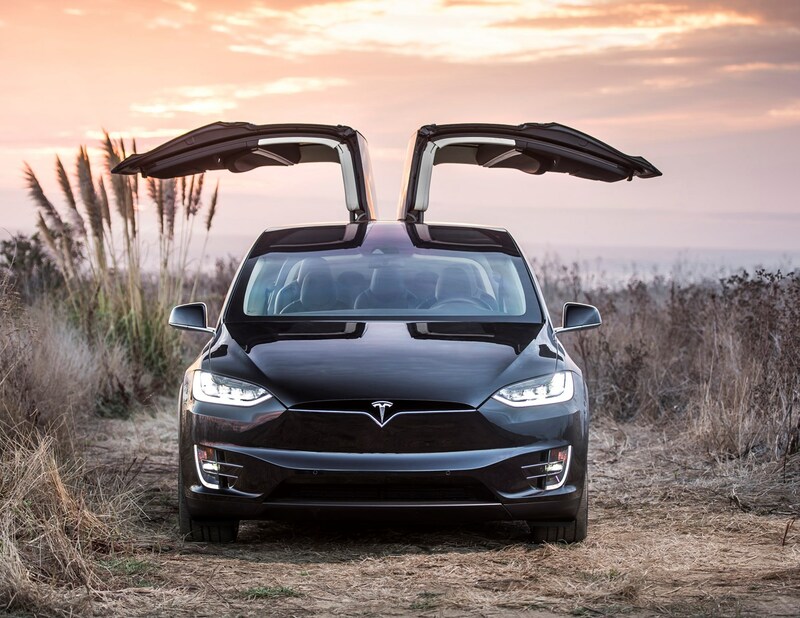 There’s no escaping that while the Model X is relatively low-slung for an SUV, it’s still a large car overall, so while the steering’s light for nimble manoeuvres around town, you still have to negotiate the Tesla’s girth. 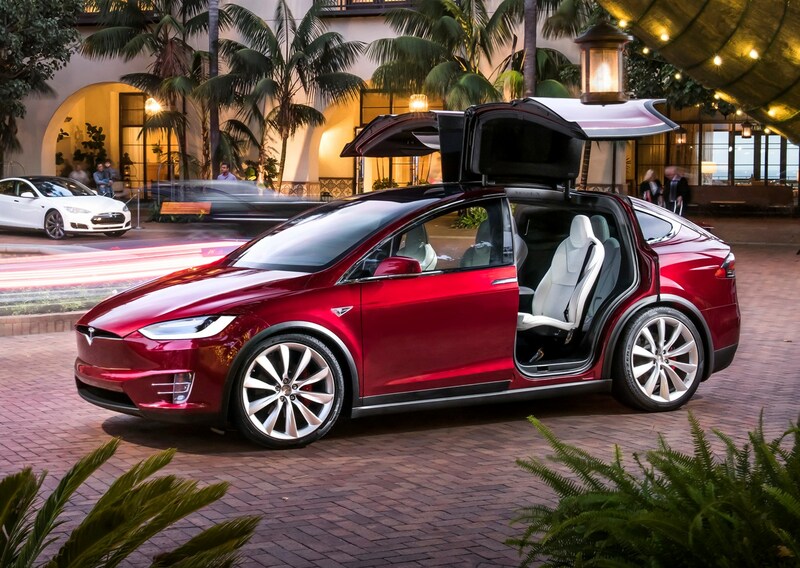 Flip open the rear boot and there’s up to 2,180 litres of luggage space to play with, plus the lack of engine allows for a 187-litre storage area beneath the bonnet. 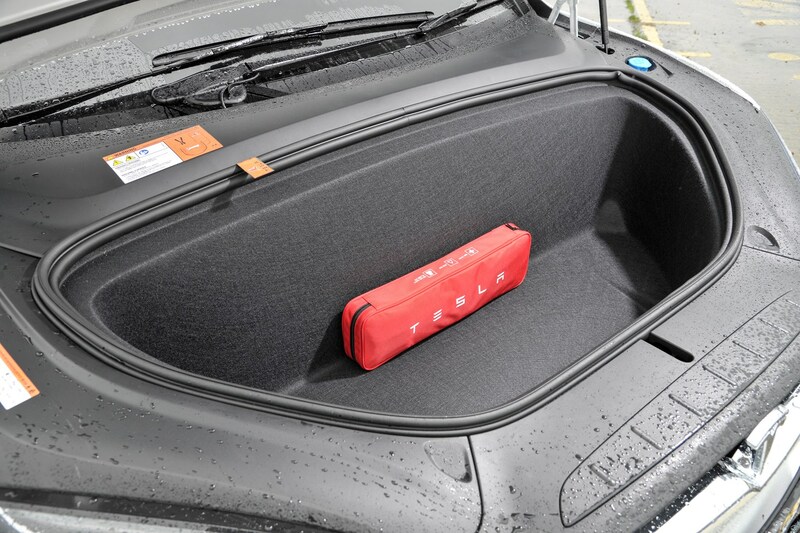 There’s also a handily-placed compartment behind the rear seats, perfect for storage of charging leads or any other kind of bric-a-brac which is usually left to rattle around the boot floor. 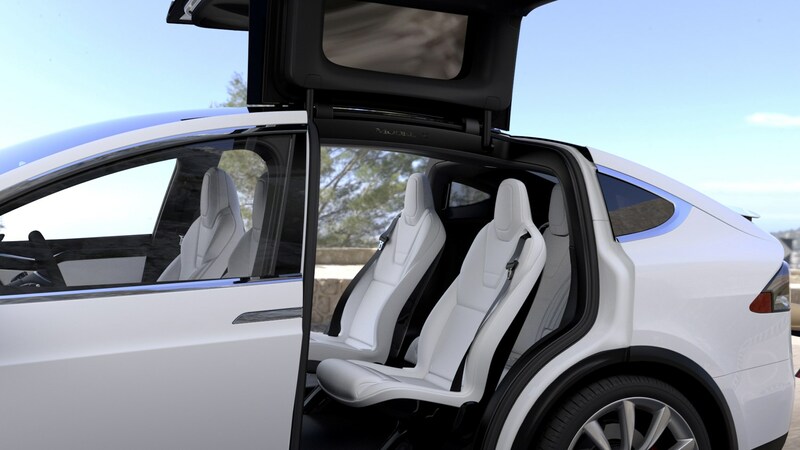 Note however that while the third row of seats (where specified) does fold away flush with the floor, the second row cannot be laid flat, so carrying very large loads may be tricky.